Grieving mother launches drive to reform emergency psychiatric units. By late November, Ottawa wedding photographer Ryan Parent was in crisis. He was struggling under the weight of depression and anxiety, a burden made worse by his fear of returning to hospital. Parent, 37, had gone to The Ottawa Hospital in June because a friend was alarmed by his manic behaviour and by his online posts about the Earth being flat. In the emergency department, doctors referred him to the hospital’s Psychiatric Emergency Services (PES) unit for a more thorough assessment. Both the General and Civic campuses have secure PES units inside their emergency departments. The units feature spartan, windowless rooms to limit the visual stimulation of patients. They’re designed to ensure that both patients and staff are safe while the individual is assessed and a mental health referral is made. Parent spent 56 hours in one of the rooms at the General campus, waiting for a bed to open up on the hospital’s psychiatric ward. Ryan’s grandmother, Ruby Parent, visited him in the PES unit on June 3. She said his room opened to a small anteroom, from which a locked door led to the hospital hallway. The anteroom featured a window with bars through which patients could speak to a nurse. “He said it was the most traumatic time of his life,” said his mother, Ellen Parent. Ryan continued regular visits with an outpatient psychiatrist, but his mental state declined that summer. His fear of returning to The Ottawa Hospital mounted. On the evening before he died, Ryan was in a paranoid state. He closed all the blinds, set the family’s home alarm system and discussed with his mother his fear that he had done something wrong, and would be locked up. They talked about going back to the hospital for help the next day. “On the morning of his death, Ryan came into my room and said that he loved me but that he didn’t want to go back to the hospital,” Ellen Parent said. She told Ryan that was OK.
Ryan returned to his room. Later that morning, Parent discovered him slumped in his closet. He had hanged himself. “My son who so badly wanted to live took his own life,” said Parent, who firmly believes her son’s experience in the PES unit played a role in his death. Ryan Parent is not the only patient who has been unsettled by the hospital’s secure and sterile PES unit. This newspaper spoke with two other psychiatric patients who were also disturbed by their experiences in the units. But Dr. Katharine Gillis, head of The Ottawa Hospital’s department of mental health, defended the PES units as state-of-the-art. She said they were created to give patients a private, safe and calming environment where they could be assessed by a dedicated team that includes psychiatrists, mental heath nurses and social workers. Previously, Gillis said, people who were having a mental health crisis were assessed in boisterous emergency departments, often in cubicles that offered little privacy. Dr. Gillis said there’s no defined limit of time for a patient stay in the PES unit. Staff will take the time they feel is appropriate to make a good assessment, she said, while keeping patients reassured and informed about the process. “Our patient guiding principles are respect, compassion and safety,” she said. Ellen Parent, however, contends the units are inhumane; she wants to see them eliminated. Ryan is not the only patient who has expressed concern about the units. Joanne, 34, said she was three months pregnant and extremely depressed when she went to The Ottawa Hospital in April 2016. She went to the emergency department and explained to medical staff that she could not stop crying. She said she was having suicidal thoughts. Joanne said she was sent to the PES unit for a psychiatric assessment. She spent 24 hours in the unit before being transferred to the hospital’s psychiatric ward. Joanne would spend two months in hospital and be diagnosed with depression, an eating disorder and obsessive-compulsive personality disorder. But it is her time in the PES that bothers her most. Deanna said she felt so humiliated and isolated after her second stay in the PES that she has vowed not to go back. 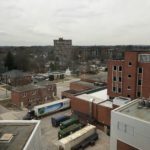 Now 34, Deanna said the psychiatric ward is a more “humane” place where patients can wander around — the ward’s doors are secured — and visit a common area to read, watch TV or talk. She said she’d like to see the PES units revamped along similar lines. “I don’t want to be treated like I’m an inmate down at Innes (the Ottawa-Carleton Detention Centre on Innes Road),” she said. Parent contends psychiatric patients should be treated like anyone else who comes into the hospital, and assessed in the emergency department, not sent to a unit that can magnify their sense of isolation and paranoia. 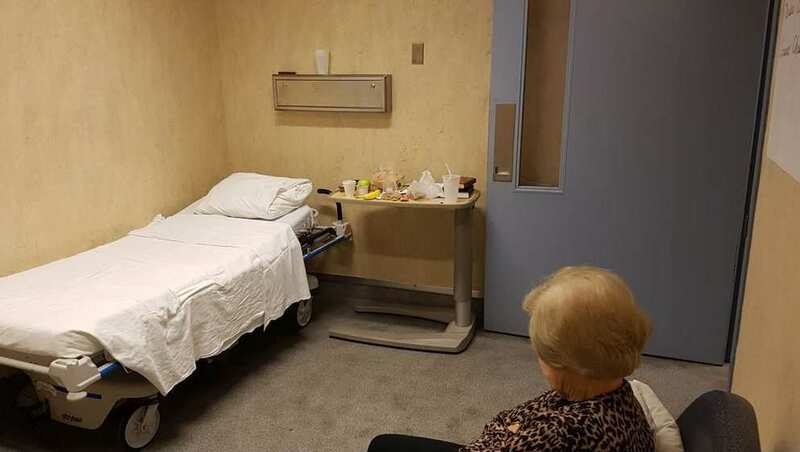 This is the situation at most other Ottawa area hospitals, including the Queensway Carleton Hospital, where a crisis-intervention team assesses acute mental health patients in regular emergency department cubicles. Gillis said the hospital will be consulting with its patient and family advisory group before designing a PES unit for the new Civic campus, which is expected to open in 2026. Previous Previous post: Antidepressant drugs do work, review on almost 120,000 patients concludes. Next Next post: A New Shift.